The brutal dust storm experienced Mars last summer. The global thunderstorm spared nuclear power, but the older Opportunity solar power switched off when the dense dust blocked light from the sun. The opportunity remained silent on June 10, 2018, despite hundreds of NASA attempts to contact. When the wind season began in March, scientists were hoping that gusts could empty the debris from its solar panels, but that hope seemed to be in vain. NASA continues to send recovery orders, but unfortunately Opportunity missions seem to end. At the same time in 2019 there is a historic milestone for the rover, which on 25 January officially reached its fifteenth year on Mars. This significantly exceeds the initial expected life of the rover by 90 days. Together with the spiritual rover, the end of which returned in 2010, the Mars Exploration Rover (MER) marks one of the most important scientific programs of modern times, finding evidence that Mars was once covered with liquid and sent back iconic images of the surface of the planet. In honor of Oppa's 15th birthday, and knowing that we have never heard of the rover, we have asked some scholars from the MER missions and elsewhere to share their thoughts and memories of Opportunity, the Spirit, and their inheritance. I have not given up yet. We have a list of things to try and we are not done until we try it out. But we get to the bottom of the list, so it's a good time to start thinking about these things. If she feels it, she feels good … It's honorable death. [The rovers] they are not immortal. You know you lose them sooner or later. In order for the 90-day mission to last for 15 years and then end up as a result of one of the most furious storm storms that could hit Mars for a long time, we can go with our tall heads. The mission exceeded much more than I expected. Heritage is difficult … Heritage is a legacy of both Sprite and Opportunity, and the spirit and heritage of the team that puts them first, the team of engineers, scientists, managers, leaders and financial people. The reason why he was so successful is because of what they did 15 years ago. This is where the credit belongs. On scientific reference, Mars proved to be a much more interesting place than I expected. This changed the way you look at Mars. The three landings that preceded ours were on these flat, barren plains – purposefully – because they were the safest landing places. That's all we've seen. That's what I was so excited about when I was doing the rover. We have these small scenic rovers that climb the mountains and descend to the craters. Mars has become a real scenic, beautiful and interesting place in the sense that you can imagine that you are there, walking along the rover tracks and seeing what they have seen. This changes our perspective. The third part of the inheritance is the effect of these missions on children. One of my favorite dreams and I know it's probably eight years ago, watching TV in the night we landed in 2004, thinking, "What, I think it's okay, but I can do better. " I see evidence that the mission has done so to some extent, inspiring young people to develop their careers in science, engineering, and technology. Everyone is talking about amazing engineering that allows us to have a robot drive another planet without mechanics in absurd conditions for 15 years. This is an amazing success. But for me and the people in the team they are all 15 years old. On Earth there were people who gathered together scientists and engineering teams three to five times a week and dealt with the progress of the day before, and carefully programmed what they would do the next day. For this team it's more than just a robot and we'll miss it … It was a lot of fun, we're working on it, we're happy it was so successful. And the dust level was definitely death if we did not hear again. I hope Opportunity goes back! I was back in the MER team at high school (2003-2009), which is proof of how long the mission took – 15 years is about three consecutive Ph.D. The opportunity made great science until she lost contact and explored new rock units that they would never have to achieve according to the original design parameters. Both the spirit and the opportunity revolutionized the way we do science on Mars, and it is safe to say that we would not have the curiosity without the great successes of the MER missions. Spirit and opportunity * figuratively * paved the way for curiosity and future rovery throughout the solar system thanks to its groundbreaking technical and scientific successes. The opportunity wildly surpassed any expectations we could have for it. She unlocked the secrets of the hematite signal that had been recognized from the orbits, taught us about the water and wind conditions of the past on Mars, and went beyond any other rover off Earth. No matter what the Red Planet had revealed to her, her clever team of engineers managed to find the way around her – until the last global dust storm. But it's just that the thing that finally managed to take Oppy out was the most powerful dust storm we've ever seen on Mars. She can rest now because she knew that humanity was proud of our little robotic envoy. 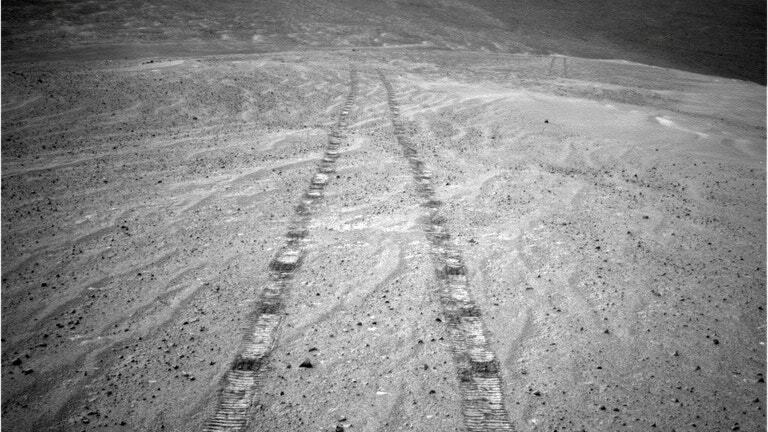 Opportunity was a real inspiration for Curiosity rover because it showed how a virtual geologist could really connect the story of an old environment by studying the records stored in the rocks. Old water flowing over the surface, castles between the dunes, groundwater soaked in the rocks, such a good thing … it kept me all in the hardest days when curiosity came to Mars. Spirit and opportunity really shot a new way for public communication on an active science mission when Steve Squyres and Jim Bell made it possible for all the pictures to be made available to the public when they arrived on Earth. They wanted to make sure that students could work with data and that they might not be on a password-protected server … Jim and Steve said, "No, we want the public to enjoy adventures as we are." This decision was so visionary. It created this enormous international community of people who were able to observe the everyday dream of exploring another planet through the eyes of the Spirit and Opportunities. People should do mosaics and animations, discuss the rocks they have seen, and what the scientific team does. In many cases, people in Europe would see pictures before the American team woke up – Squires as a control of these forums, because it was easier than to deal with [the server]. The Cassini team did not intend to share their pictures in this way. The NASA Jet Propulsion Lab (JPL), when we saw the Mars Exploration Rover, said: Well, we will share Cassini's images as well. Many other missions followed in their footsteps – all missions on Mars, such as Curiosity, Phoenix and InSight. It is influenced by the European Space Agency to be more open to its image data – its structure is different from the NASA structure as institutions build and supply cameras – but could start sharing a VMC camera that shares images [from Mars] once they hit Earth, and Rosetta shares their NavCam images very quickly. Juno and New Horizons shared their data very quickly … They had a profound impact on how missions shared their data with the public. I think it's interesting that when Opportunity originally stalled, a lot of people were ready to write it down immediately. This may have been more pragmatic, but it did not take into account the feeling of the people who have been holding this space ship for so long. I think it is necessary for the team to exhaust all the possibilities to feel some end of the mission. Some of them definitely do not want to give up … It takes a huge emotional investment to lead these missions. I think I hope the opportunity will surprise us and return. I do not think it's likely, and I'm sorry for the engineers for their loss. People will need time to regret and realize that it is emotionally difficult. In the first place, I will miss the fact that I regularly meet with the team. These people have been working on this mission for a very long time, and although people have left and the others have come here, it's a really wonderful sense of camaraderie. I can recognize everyone in my own voice. I know that we can rely on people when we face challenges or difficult scientific questions. It's really fun to work on all these issues with people who are concerned. I'll also be glad to wake up in the morning and see how rover sent down the latest photos. Every day you look at something you've never seen before. I have a very personal story with a rover. I was in high school when Spirit and Opportunity landed. The Planetary Society program called the Student Astronaut Program was run, which brought high schools to the JPL to be there at night when the rover landed. It was the night Opportunity landed, and it was an amazing experience that inspired me to get into planetary science. The way the spirit and opportunity transformed the science of Mars was quite deep … It gave us a new look at a planet we did not have in 2000. The Rovers were sent to watch the water and had no conclusive evidence before we went there that Mars was in the past liquid water. These were the first images of Oppa and later images of the Spirit, which were irrefutable proof that Mars had another climate that could support the flow of water on the surface. It has opened a new space of parameters for questions that we might ask about the evolution of Mars. These questions were answered by Curiosity rover, a larger new rover with more sophisticated tools, and some of them responding to model return missions; some will need future missions to answer. We did not even know what questions to ask before we have the results of the Spirit and Opportunity. I'm just thrilled that it took as long as it was. It is a celebration of how successful and pioneering this mission was.